The famous Turkish hacking group RedHack has defaced the official Government website of the Istanbul(istanbul.gov.tr ). The hacker group specified they hacked this website in retaliation of attacks on people at MayDay. 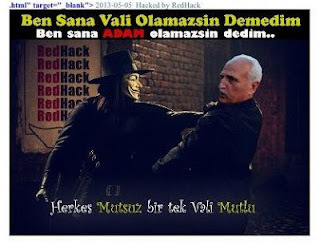 "Hacked in retaliation of attack on people at MayDay and to commemorate revolutionaries Deniz. Yusuf, Huseyin hanged on 6th May 1972" the tweet posted by the hacker group reads. At the time of writing, the website seems to be restored by the administrator and back to normal.